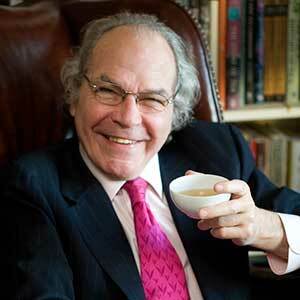 James Norwood Pratt is an author and authority on wine, tea and tea lore. With books translated into multiple languages and numerous videos, interviews and articles in US and overseas media, Norwood is quite possibly the world’s most widely read and best known authority on tea and tea lore. Since his often revised classic, The Tea Lover’s Treasury, first appeared in 1982, he has been an inspiring presence on the international tea scene. He has served as Honorary Director of America’s first traditional Chinese tea house, International Juror for India’s first Golden Leaf tea competition and at the World Tea Expo in 2015 he received the John Harney Lifetime Achievement Award. Come and enjoy meeting and hearing America’s acknowledged Tea Sage James Norwood Pratt.